Toronto native Glenn Morrison has been steadily making a name for himself in the global dance scene since he discovered his passion for music at 15 years old. With a wealth of experience in production, mastering and live touring under his belt and now at 28 years old, he has proved his metal with a certified Platinum record and has even made it to the top of the Billboard dance charts. He’s had residencies at some of the world hottest nightclubs including Amnesia in Ibiza and Space in Miami as well as garnering support from headlining DJs such as Tiesto and John Digweed for his original productions. 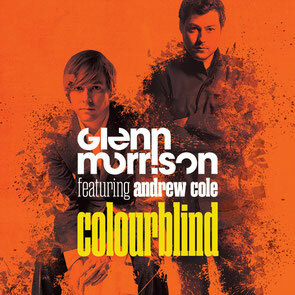 Now, he’s back with a remix package for his latest release ‘Colorblind’. Featuring the vocals of Andrew Cole, the track has a positive uplifting feel that’s had fans feeling good all summer long since its July release. Now, it’s been remixed by Sunnery James & Ryan Marciano, Luke Shay, Brian Cid, Frank Walker, Luke Chable, and there’s another rendition from Glenn himself!